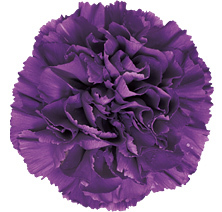 FLORIGENE® Moonshade™ has a true purple colour burst that immediately distinguishes itself from any purple carnation in the market. When the flower begins to open there is a magical change to a bluer colour. A true purple lovers colour.